Navarro v. County of Sacramento. This was a disability discrimination case from 2010. The employee argued that she was able to do the job without the need of a reasonable accommodation, but the employer refused to hire her for an open job position due to medical concerns. Clark v. State of California. This was also a disability discrimination case from 2010. At issue in this matter was whether the State of California could limit the medical information that reviewed in making its decision that the employee was not disabled nor in need of a reasonable accommodation. Castberg V. Southeastern Building Services. This was a wage/hour case from 2010. At issue was whether the time spent by a HVAC repairman driving all over California needed to be counted in determining whether or not the individual was owed overtime wages. Nagel v. ADI Shuttle Group. This was another wage/hour case in 2010 where a pilot of a shuttle was not paid for a forced lay-over between trips. Mallery v. BFS Retail Operations. This was a case from 2010 that involved many issues, including failure of the employer to pay overtime pay to a “manager” of a retail store as well as failure to not give lunches and breaks as required by law. Larez v. State of California. This was a 2010 case involving allegations of sexual harassment by a State employee against her supervisor. Castle v. Sears Home Improvement Products. This 2010 case involved the employer’s failure to pay all commissions owed. This 2009 case involved disability discrimination. Bufford v. Toyota Certified of Florin Road. This 2009 matter invovled allegations of race discrimination. This 2009 case also involved failure of an employer to pay all of the commissions owed. In this case, there was an employment agreement that contained “forfeiture” language stating that if an employee was terminated, they lost a portion of their commissions. Jane Doe v. Logan's Roadhouse. This 2008 matter involved complaints of sexual harassment against a supervisor. The issue in this 2008 case was twofold. First, it was a case involved an employee with a disability who was allegedly not being accommodated. But, it was also discovered that she was working a lot of overtime hours as a “manager”, but having to perform a significant amount of non-managerial duties (for example, cleaning the store or waiting on customers). This 2008 case involved an employee who was injured on the job, but wanted to work through the pain to keep working. Eventually, the employee was unable to stand the pain and had to leave. One of the questions presented in this matter was the extent and availability of reasonable accommodations for the employee that were refused by the employer. Although we do not handle worker’s compensation matter, many of our clients are pursuaing both a worker’s compensation claim as well as our civil claim for discrimination. This 2005 matter invovled sexual orientation discrimination. Howell v. Grubb & Ellis. This 2005 matter invovled wrongful termination as well as failure of an employer to pay all commissions owed. Atay v. County of Sacramento. We actually had to take this 2006 case before a jury. It involved an employee who was disabled following a stroke who needed a reasonable accommodation. Hodge v. Sacramento Suburban Water District. This matter was handled in 2002. It was about an employee making a complaint about misuse of government funds and then allegedly being retaliated against for whistleblowing. 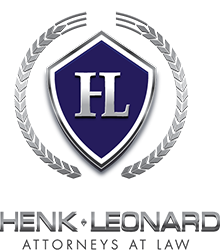 Call HenkLeonard (916) 787-4544 to schedule an appointment. We'll review your case to evaluate whether we are the right attorneys for you.